Thank you for following my blog and for your comments and questions. I have been aiming to write a wrap-up/summary post since long but other tasks have kept me from it. Here I summarize our achievements for 2008 and 2009. ENDURANCE (Environmentally Non-Disturbing Under-ice Robotic Antarctic Explorer) is a hovering autonomous underwater vehicle. It was developed under NASA’s ASTEP (Astrobiology Science and Technology for Exploring Planets) program by Stone Aerospace as a platform for developing and testing technologies for discovery of life forms on watery moons such as Europa. Europa is one of Jupiter’s satellites and there is strong evidence that it has a rocky core separated by saline liquid water from an ice/water crust about 80-170 km thick. 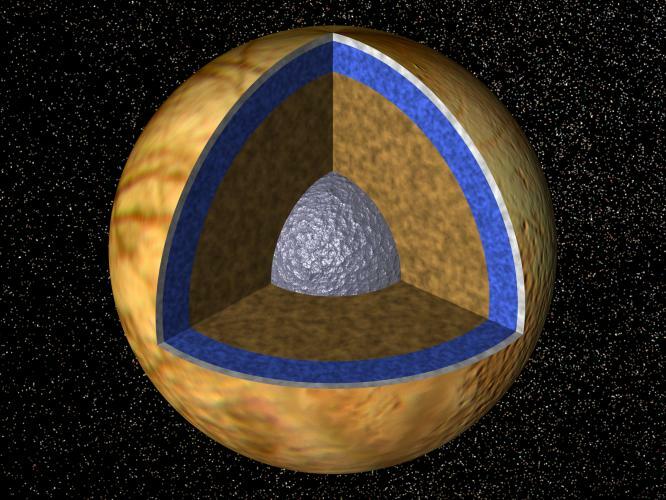 A visualization of Europa showing the ice crust (white), metallic core (brown) and liquid water (blue). Photograph available under public domain from http://photojournal.jpl.nasa.gov/catalog/PIA01130. Some of the closest analogues to Europa’s ice-covered saline ocean on earth are the lakes in the McMurdo Dry Valleys in Antarctica. 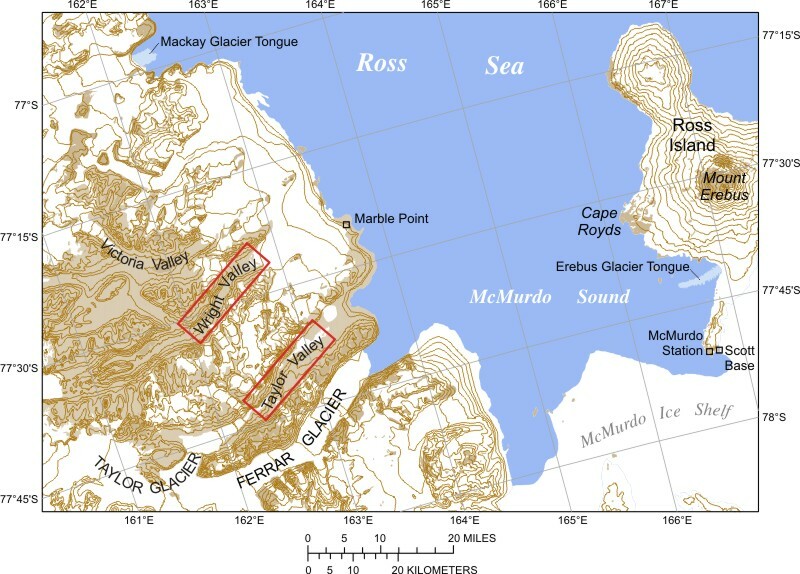 The McMurdo Dry Valleys are the largest ice-free region in Antarctica with a total area of about 4800 square kilometers. 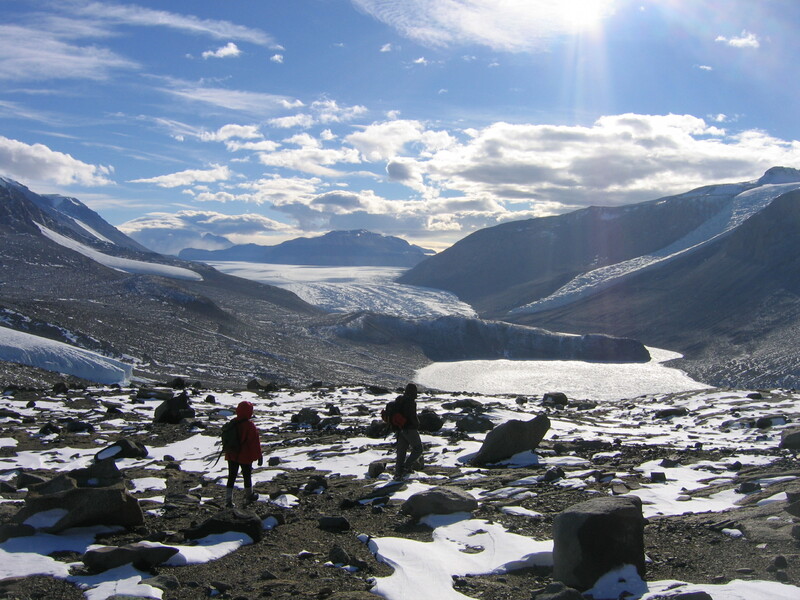 These dry valleys are a polar desert environment with mean annual temperatures of the valley floor between -30 Celsius to -14.8 Celsius and precipitation of less than 10 cm per year. There are about 20 lakes in the Dry Valleys almost all of which maintain a perennial ice-cover (2.8-6.0 m) over liquid water. The low temperatures, the perennial ice-cover, and the presence of microbial life make the lakes in the Dry Valleys an ideal environment for testing the concepts and technology for discovering life-forms on Europa. One such lake, Lake Bonney, was chosen for field testing of ENDURANCE. Photograph of Lake Bonney. The large body of snow at the back is Taylor glacier. Aerial view of Lake Bonney. Lake Bonney is located in Taylor valley and consists of two lobes - the west lobe and the east lobe connected by a channel. The dimensions of the west lobe are approximately 3 km x 1.5 km, with a maximum depth of about 40 m. Under the ice cover lies a freshwater lens which extends down to a sharp halocline (a sharp salinity gradient) at a depth of about 12 m. Below the halocline is a salty body of water which reaches a salinity of about four times seawater at its greatest depths. Taylor Glacier, an outlet glacier of the east Antarctic ice sheet, flows into the west end of the west lobe. 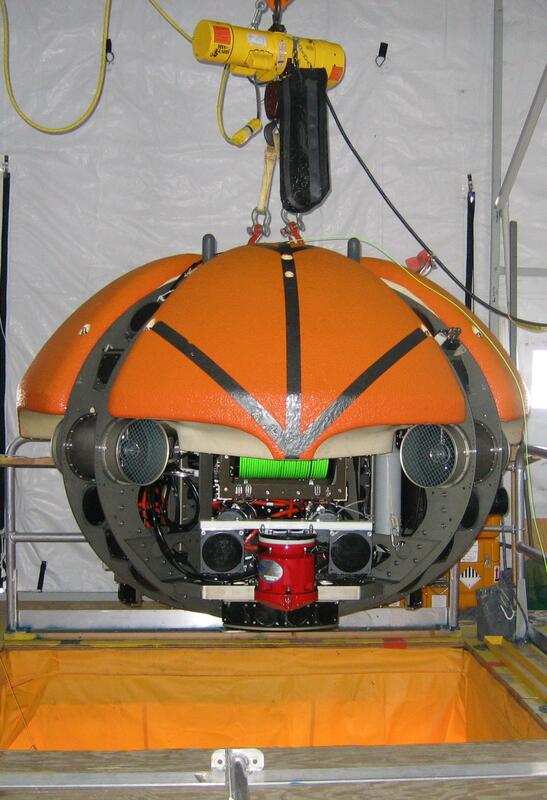 ENDURANCE performed scientific missions over 10 weeks ( 4 weeks in 2008 and 6 weeks in 2009) in Lake Bonney. With ENDURANCE we developed and demonstrated the technology for exploring under-ice lakes for life-forms. 1. Our vehicle was able to reach within five meters of a specified target and came back to within five meters of the melt-hole after traveling a distance of as much as 3.2 km. 2. We developed a visual homing algorithm that allows the robot to distinguish a blinking light source and use it to rise through a melt-hole with tight clearances. 3. We developed a profiling system that can collect bio-geochemical data and take lake-bottom images along the entire depth of the lake and at any specified location in the lake. 4. We obtained bathymetric maps of the underwater part of Taylor glacier and the lake bottom using sonars. This is the first time that such a detailed map has been constructed. 5. 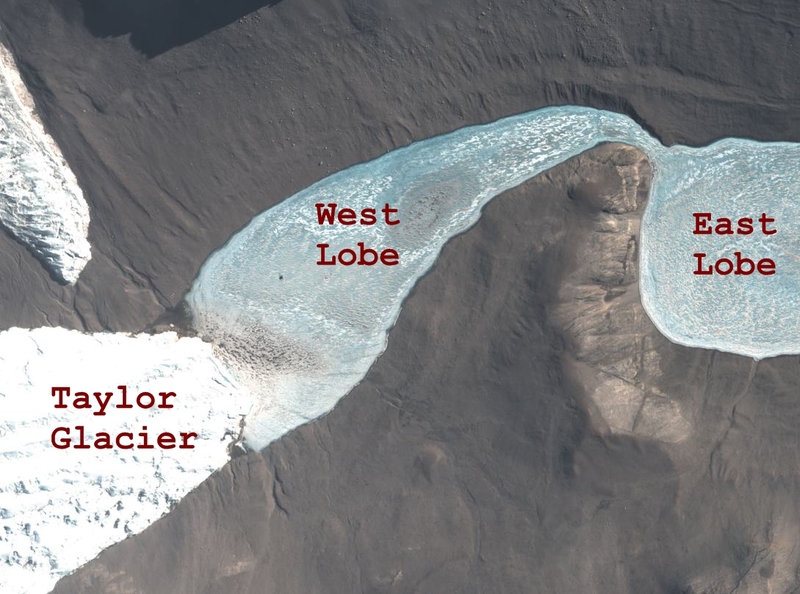 We obtained close-up visual imaging of the underwater part of Taylor glacier at selected locations. If you are interested in more details, please visit my publications page. This entry was posted on Tuesday, February 9th, 2010 at 5:32 am and is filed under ENDURANCE 2009, Missions. You can follow any responses to this entry through the RSS 2.0 feed. You can leave a response, or trackback from your own site.